We are offering a wide range of Alloy Steel Plates in different Grades and specifications including ASTM A 387 GR. 11 CL. 1 / 2 ASTM A 387 GR. 12 CL. 1 / 2 ASTM A 387 GR. 22 CL. 1 / 2 ASTM A 387 GR. 5 CL. 1 / 2 DIN 17175 15Mo3 / 16Mo3 ASTM SPECIFICATION A 387 GR. 2 CL. 2 / 204 GR. A / 204. B. 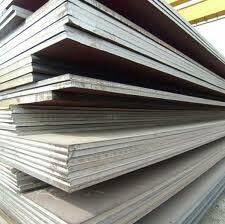 We only choose the manufacturers that are trusted to procure our Alloy Steel Plates. Only after ensuring about the superior quality of our Alloy Steel Plates, we offer them to the customers. Due to this, we have made a mark as one of the leading Exporters and Suppliers of Alloy Steel Plates.